Hey everyone! It has been quite a busy schedule since we found the most reliable Rogers Canada iPhone unlock provider. As you all know, getting a factory unlocked iPhone is no easy feat. There are so many benefits of a factory unlocked Rogers iPhone. You can update the baseband and the iOS version without any worries. Once the iPhone is unlocked, you can use it on any carrier in the world. Today we are going to teach you how to unlock Rogers Canada iPhone permanently by IMEI code. Today, we bring you the latest unlock solution. It is for Rogers Canada. 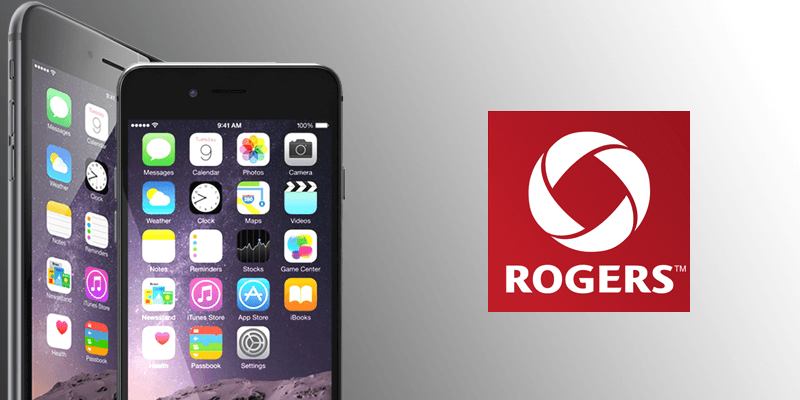 Now you can easily unlock Rogers iPhone using the Official Rogers iPhone unlock service. As of now, those of you who want to unlock Rogers iPhone up to iOS 11, 10, 9.3.5, 9.0, 8.0, 7.0 or below should know there are two ways to get your Rogers iPhone X, 8, 7, 6, 6S, 6+, SE, 5S, 5C, 4, 4S or 5 factory unlocked. The first method should already be known by the customers of this carrier. The device must be a Rogers branded iPhone. The device must be registered in the Rogers system for 30 days, and if you upgrade to a new iPhone, the old can’t be unlocked as it will be out of the system, and off the account. The iPhone should be unlocked before the contract ends. To work around this, your iPhone 4, 4S, 5 or 3GS should be registered on a month to month plan for a period of 30 days, and then ask the company for an unlock. Apart from these requirements, the customer’s account must be in good standing, and it should not be subject to a Commitment period. An example is that unlocking will be available if a customer pays the total unsubsidized, or no term cost of the handset, or the Commitment period has been expired. What to do if you are not a Rogers customer? You can’t go with the above method. Don’t worry; we have a solution for you! Finally, the official Rogers Canada iPhone unlock service can factory unlock your iPhone to use it with any other sim card on the planet. This is the most reliable solution on the internet, and your iPhone will be unlocked permanently forever. Now you don’t have to buy that temporary hardware and software unlocks. Get your Rogers or Fido Canada iPhone Unlocked by going to this link. We highly recommend this service. Customers of other carriers have reported great feedback service and have gotten their iPhone’s unlocked permanently. This website can unlock Rogers Canada iPhone within 24 hours. Now all your waiting is over! Go ahead and Get it Right NOW!